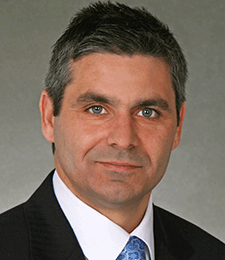 Rich Castagna is a partner at GMR and chair of its Insurance and Healthcare Fraud Litigation department. Under Rich’s leadership, the GMR team of trial attorneys has counseled clients regarding large and complex fraud investigations in various jurisdictions including Pennsylvania, New Jersey, New York, Delaware, and Maryland. The team, under Rich’s direction and supervision, has assisted clients by helping them to recognize and stop fraudulent practices. Although Rich has worked with clients to successfully resolve their concerns without the need for litigation on countless occasions, Rich is proud to lead a team of experienced and successful trial lawyers who work as tirelessly to achieve his clients’ goals when called upon. Over the years, GMR has been the preeminent law firm in the region for litigating complex healthcare fraud matters. In fact, on behalf of his clients, Rich has helped recoup millions of dollars in judgments and settlements and, perhaps more importantly, assisted his clients in ending abusive practices that would have cost them even more going forward. Rich prides himself in knowing that his clients are prepared for litigation before they ever enter the arena. Rich counsels his clients on best practices in claims-handling and regularly lectures claims handlers on practices that should be avoided. Before a lawsuit is filed, Rich takes it upon himself to counsel his clients in the benefits of litigation as well as the drawbacks. In fact, he routinely counsels clients and their staff on the problems that can and should be avoided when engaging in complex healthcare investigations to ensure that if litigation is necessary, such litigation will be successful. Once a complex fraud lawsuit has been filed, Rich has the necessary experience to ensure that his clients are fully prepared to testify as he has prepared countless individual and corporate witnesses to testify at both depositions and trial. Over the years, Rich has successfully pursued actions against individuals and corporations who have fraudulently pilfered millions of dollars from his clients. As a result, he has secured multi-million dollar judgments against these actors and satisfactorily resolved these actions in his clients’ favor by recovering millions of dollars and secured voluntary agreements by the fraudulent actors to cease their fraudulent activities and waive many millions of dollars in outstanding and future invoices.